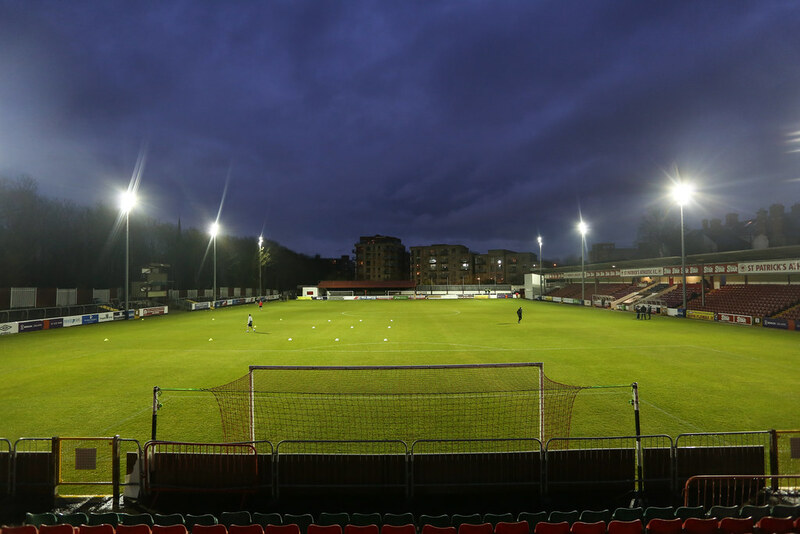 St. Patricks Athletic and Dundalk played out an entertaining scoreless draw on Monday night with both sides going close but neither able to find the back of the net and take all three points from Richmond Park. 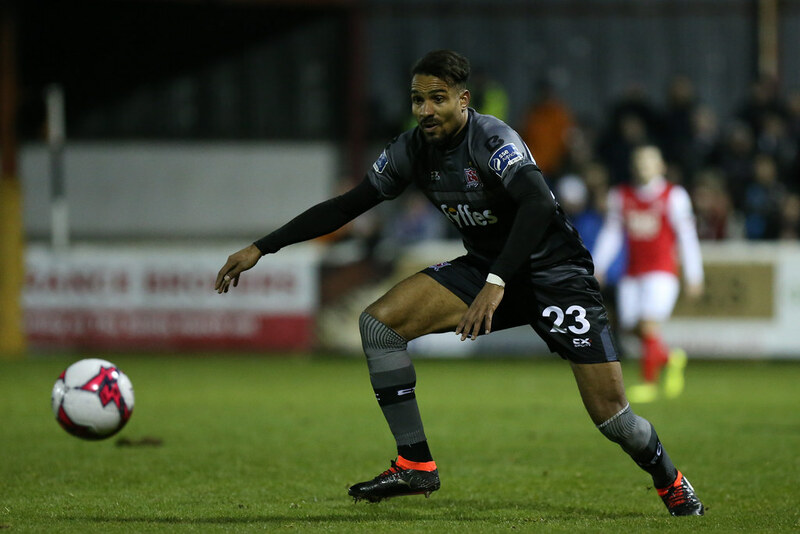 It was a decent opening to the game with some fine passing moves from both sides in the middle of the park with Dundalk settling into the match that bit quicker than the home side. 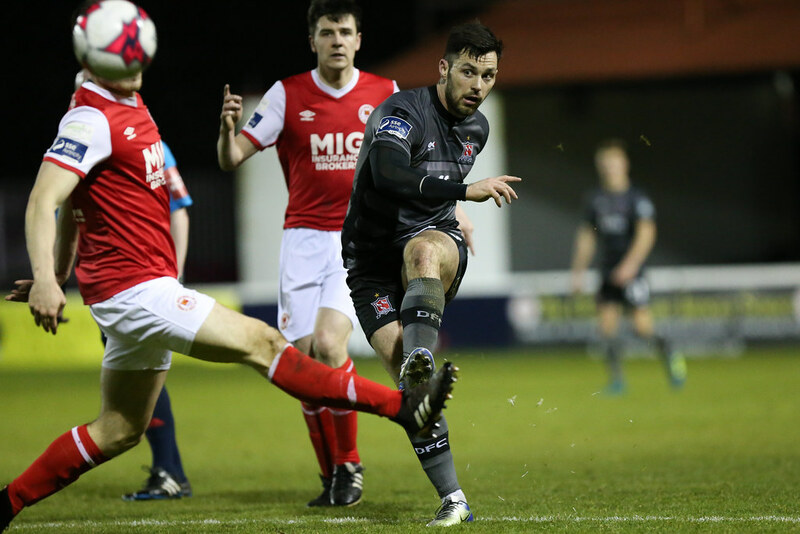 The opening chance of the game fell to Dundalk defender Sean Hoare after 12 minutes but he only connected tamely to the end of a free kick from Robbie Benson leaving Barry Murphy with an easy collection in the Pats goal. 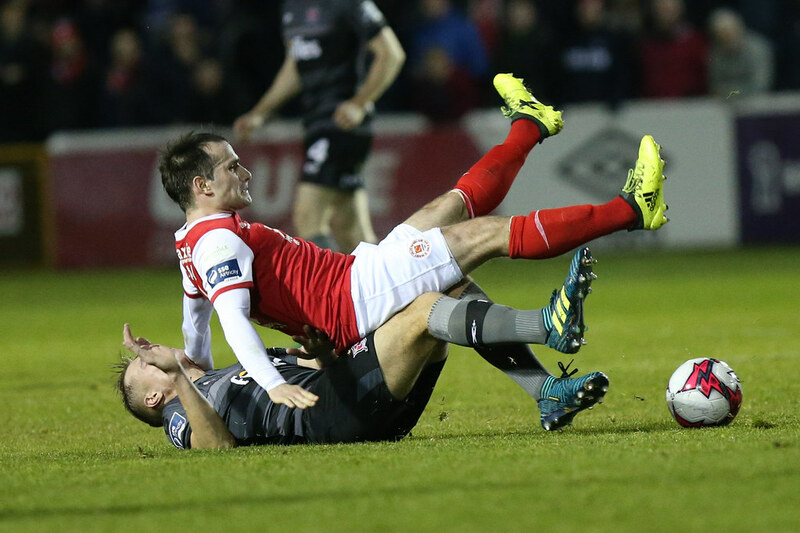 Minutes later, in form striker Pat Hoban looked to have opened the scoring driving a low shot towards the bottom right hand corner after a controlled first touch at the end of a Sean Gannon cross but Murphy was quick to react and punch the ball clear. The home side were reduced to one or two shots from distance in the opening half and struggled to get anywhere close to goal. Christy Fagan was starved of service on his own up front against a Dundalk defence yet to concede a single goal yet this season so far. 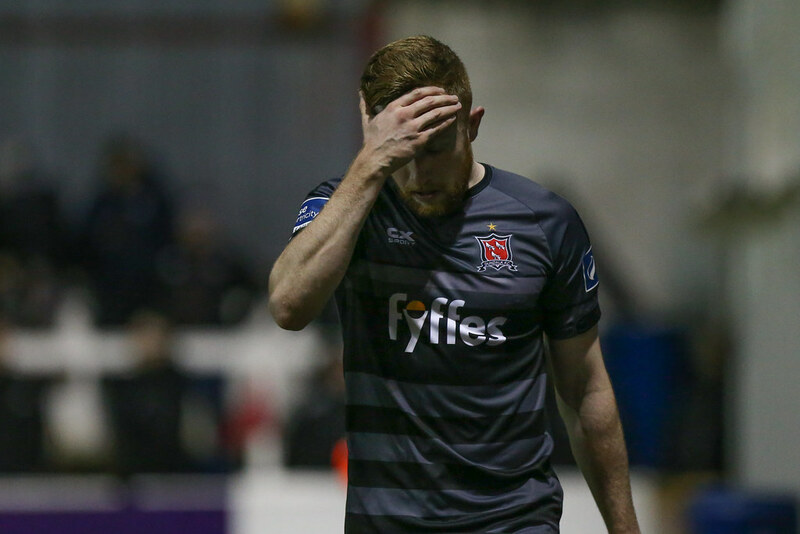 Dundalk continued to press forward and increase the pressure on the St. Pat’s rearguard and Daniel Cleary was the next to go close sending a free header just clear of the crossbar from another Benson freekick. 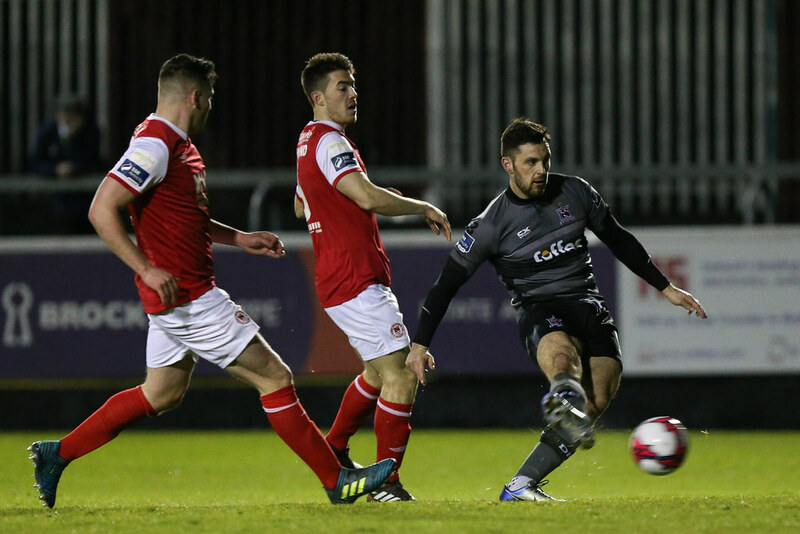 With 38 minutes on the clock, Darragh Markey hacked away an Ian Cleary shot off the line to keep the game scoreless but Dundalk were turning the screw more and more as the half continued. Five minutes from the break it was Kevin Toner clearing off the line from a rasping Ronan Murray shot; Toner acrobatically flicking the ball clear of the crossbar with his head and out for a corner. 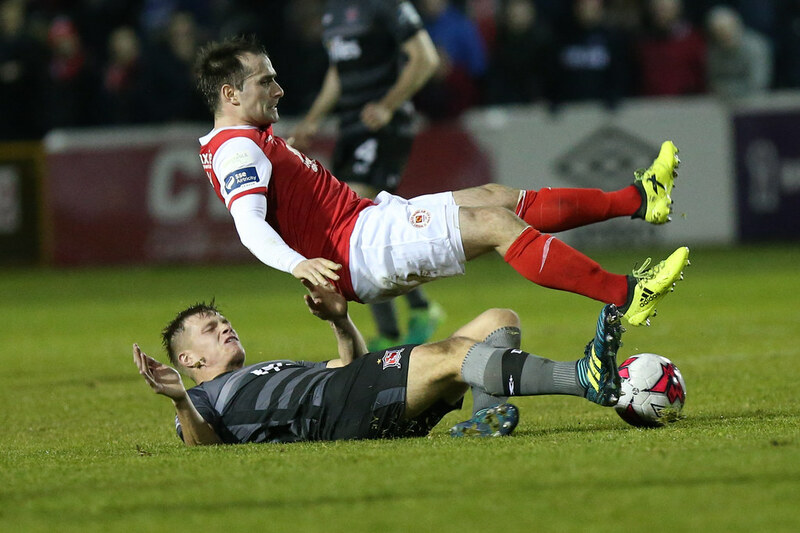 St. Pats started the second half much the brighter side with chances for Conan Byrne and Christy Fagan inside the opening few minutes with both players starting to link up nicely down the right. Gary Rogers was called into action for the first time of the night shortly after almost dropping the ball in his own box from a Darragh Markey cross but recovered well. 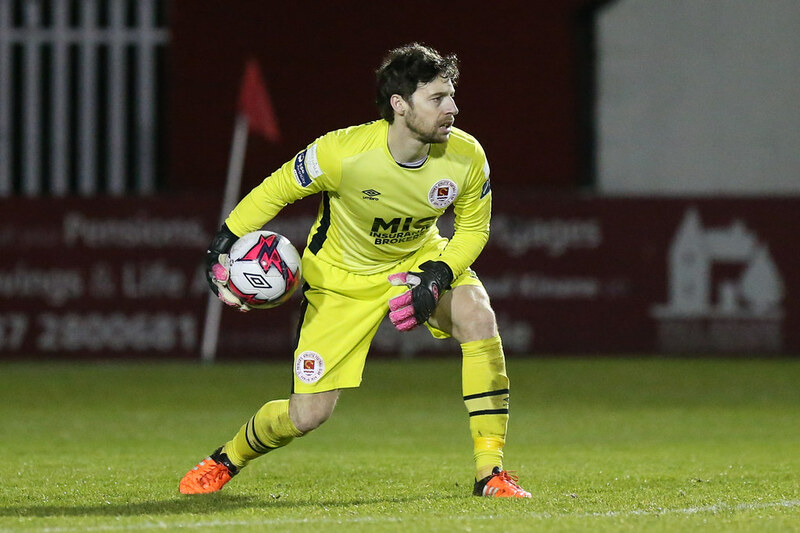 On the hour mark, Murray had the first second half chance for the Lilywhites crashing a free kick off the crossbar and had Murphy well beaten in the Pats goal but the game remained scoreless and end to end. 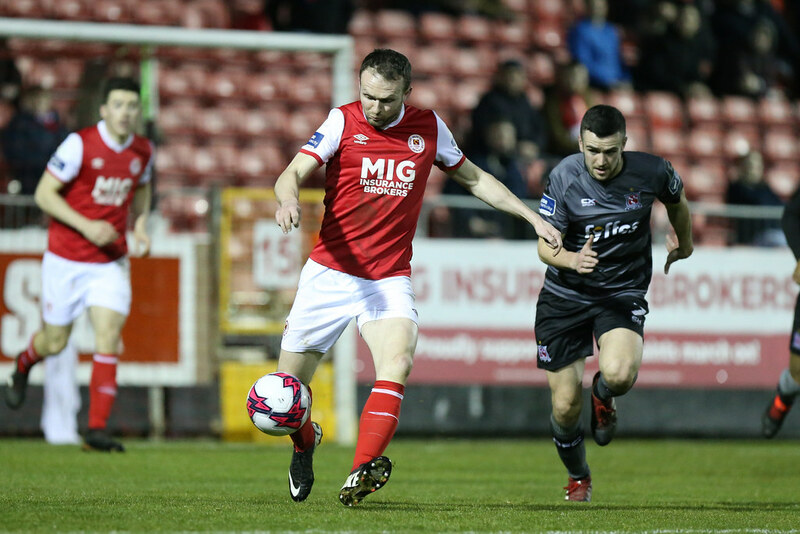 The home fans were growing in confidence the longer the game remained scoreless with Ryan Brennan connecting well with a Simon Madden cross but headed just over the bar. It was tightly balanced heading into the closing stages with both sides trying to find a winner. 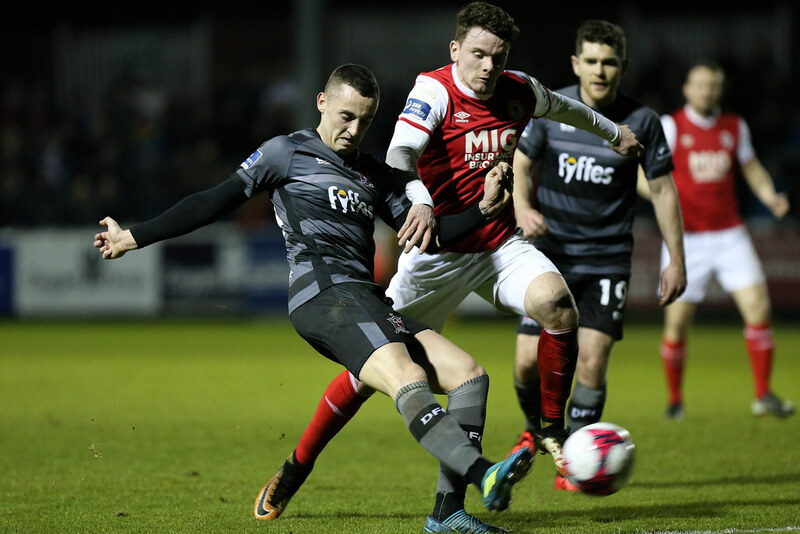 Dane Massey and Michael Duffy were the standout players for Dundalk while Fagan and Byrne stood out for St. Pats. 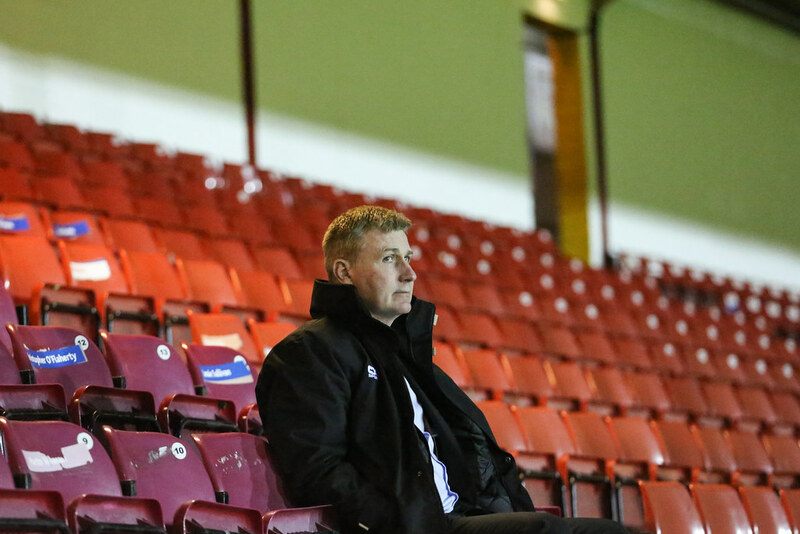 The game drew to a close with both managers bringing on fresh legs as they searched for the winner but the game ended scoreless in front of a crowd of 1,609 with cheers from the home fans as the final whistle blew having seen their team fight their way to a well deserved point. 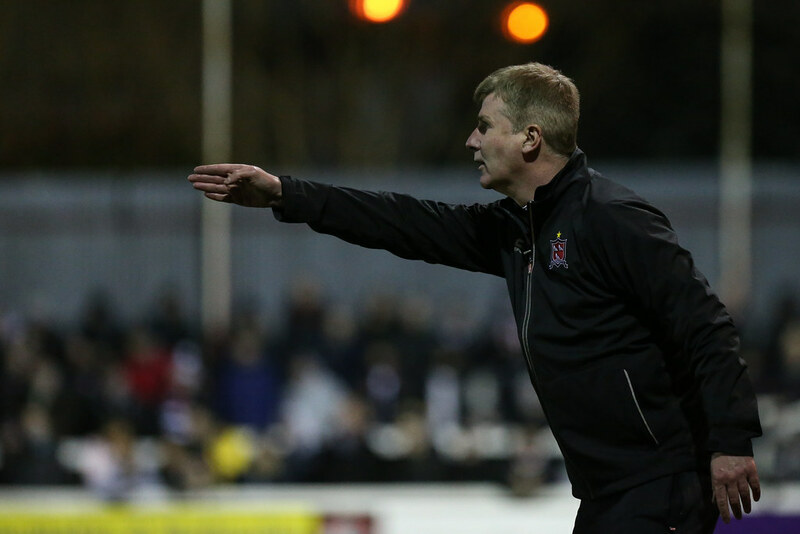 The result leaves Dundalk in third place with St. Pats ending the night in fifth ahead of their trip to Tallaght for a Dublin derby next Friday night. Subs not used: Brian Maher, Michael Barker, James Doona, Michael Leahy. Booked: Darragh Markey (35), Barry Murphy (88), Owen Garvan (57). 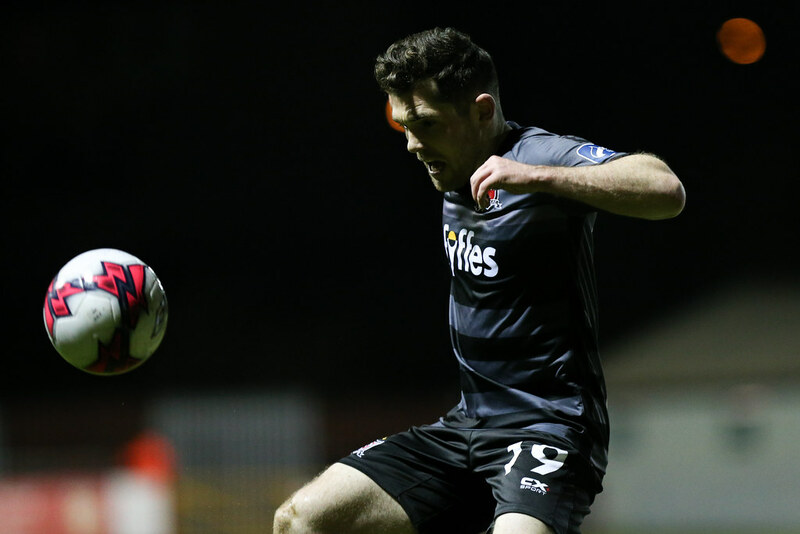 Dundalk F.C: Gary Rogers; Sean Gannon, Sean Hoare, Daniel Cleary, Dane Massey, Chris Shields (Karolis Chvedukas 79), Michael Duffy, Dylan Connolly, Robbie Benson, Ronan Murray, Patrick Hoban (Marco Tagbajumi 72). Subs not used: Gabriel Sava, Kristian Adorjan, Stephen Folan, Jamie McGrath, Dean Jarvis. Booked: Pat Hoban (53), Daniel Cleary ( 32).